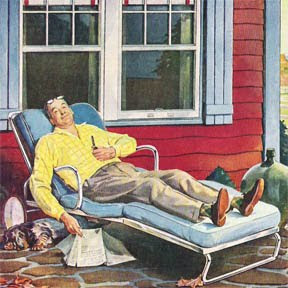 and giving over to some perfect, clear, sunny skies. 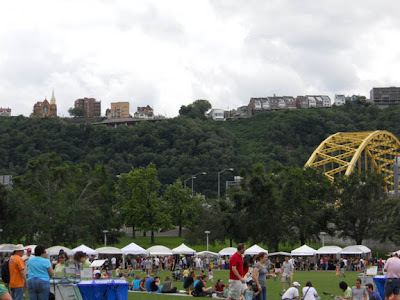 we went to the Three Rivers Arts Festival in Pittsburgh. It's a yearly event, but I haven't attended in a long time. The weather cooperated very nicely. No rain. Humidity gone. plus french fries and funnel cakes had my mouth watering! I saw some nice artwork, but frankly, I think Etsy has spoiled me! both in sheer volume and in talent and imagination. Ooh, don't shoot me, all of you art-and-craft-show-goers! to form a triangle, at the tip of which is the start of the Ohio River. A little geography lesson, HA, no extra charge! So much fun! 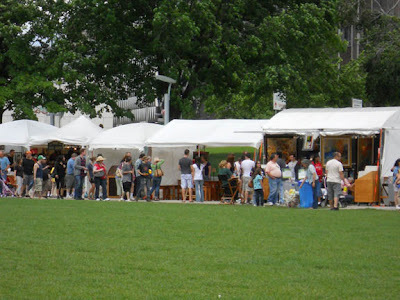 Going to the Laguna Beach Art Festival...nothing says summer like sawdust, crafts and food... Have a great day! I love arts festivals too, nut I'm in agreement with you in regards to being spoiled by Etsy. 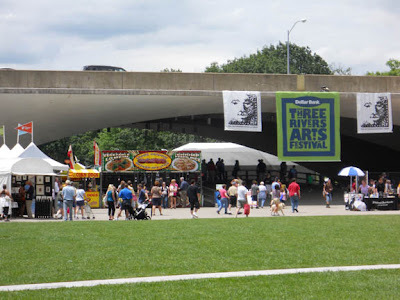 I know many of our art festivals here in Atlanta have become too expensive for many of the artists to participate in; maybe that's part of it? That's possible Stephanie, and that's a shame. We have a local one coming up in July that is very popular. I'm going to pay a visit to that one and see if it is as great as I remember! Beautiful setting for an art show.